Listen to learn how to use an everyday English expression. नमस्कार मित्रांनो English Expressions मध्ये तुमचं पुन्हा स्वागत आहे. असा शो जिथे आपण इंग्रजीतले नवनवीन वाक्प्रचार शिकतो. I am sure आधीचे भाग तुम्ही नक्की ऐकले असतील. तर...आजचा विषय 'a can of worms' किडे भरलेला डबा??? मला वाटतं याचा खरा अर्थ वेगळा असावा. फिन 'worms' म्हणजे किड्यांबद्दल बद्दल अभ्यास करत होता. म्हणून फिफीला तो सांगतोय त्याबद्दल. त्यातून आपल्याला काही कळतंय का बघू. Worms are great – don't you think they're really interesting? Erm, yeah, kind of. But what's today's phrase? Yeah, yeah, yeah, we'll come to that in a minute. But, did you know earthworms, the kind you normally find in the soil, are both male and female in one body? And if you cut a worm in half – only one part of the worm will die! Oh yes, the part with the fat little bump on it will survive. I knew that. That's fascinating, isn't it? And earthworms can be really short – from only one millimetre – to a massive three metres! फिन गांडुळांबद्दल सांगतोय. ‘earthworms’ म्हणजे गांडूळ. गांडूळ उभयलिंगी असतात. ते 'male' म्हणजे नर असतात आणि 'female' म्हणजे मादीही. त्यांना कापलं तरी ते ‘survive’ होतात, जिवंत राहतात. ‘survive’ म्हणजे वाचणे, तग धरून राहणे. तुम्हाला माहितीये, गांडूळ तीन मीटरपर्यंत वाढू शकतं. पण ते किड्यांबद्दल का बोलतायंत? Finn, hang on a second, why are we talking about worms so much? Sorry, yes, I was doing some research for today's programme. The phrase, today, is: a can of worms! Right. Well 'a can of worms' is a phrase we use to describe a situation that causes a lot of problems when you start to deal with it. Yes, sometimes you want to deal with a problem, but you realise that by dealing with that problem it will open up a whole set of new problems. फिनने किड्यांबद्दल खूप वाचलं आणि त्यातून त्याला अनेक आश्चर्यकारक गोष्टी समजल्या. पण फिफीला हे कळेना तो हे सगळं तिला का सांगतोय. नंतर तिला कळलं त्याने एवढं का वाचलं. कारण आजच्या आठवड्याचं English expression… 'can of worms'. फिफी म्हणाली, असा विचार कर, परिस्थिती म्हणजे 'can' आणि अडचणी म्हणजे 'worms'. म्हणजे आपण अशा परिस्थितीत अडकतो की त्यातून प्रश्न सुटण्याऐवजी मारुतीच्या शेपटासारखे वाढतच जातात. हा वाक्प्रचार नीट समजून घ्यायला काही उदाहरणं ऐकू या... बघू या काही अर्थ लावता येतोय का? 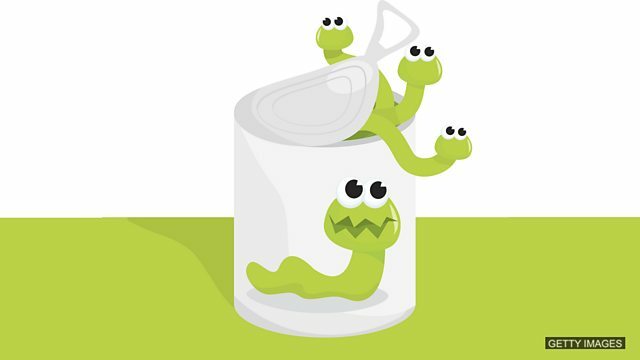 When Frank asked why his brother arrived late to the party, his brother started telling Frank all about the problems in his life: his car, his health, problems with his friends… Frank realised he'd opened a can of worms. A: Charles, have you finished writing that report about our fantastic sales figures this month? A: Oh no, what a can of worms. OK, well I think we've lost Finn there. I think I've had enough of worms for one day. चला... फिनला करू द्या किड्यांचा अभ्यास. तुमचं असं झालंय का कधी? Check what you’ve learned by choosing the correct option to the question. या पर्यायांतून योग्य उत्तर निवडा... बघूया काय काय समजलंय तुम्हाला. हा वाक्प्रचार किड्यांबद्दल नाहीये. इथे किडे रूपक म्हणून वापरलंय. Which is the correct definition of can of worms? किडे भरलेला डबा उघडला तर किती गोंधळ होईल?